The Aimaq Char of Afghanistan is a people group comprised of four different tribes: Taimani, Firozkohi, Timuri, and Jamshidi. It is estimated that 250 subtribes exist within these. 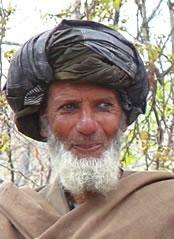 The population of this group is 334,000 and 148,000 of them live in Afghanistan. Their primary language is Aimaq, but Farsi is spoken in the schools. Foods commonly eaten are thick wheat bread, chickpeas, rice, potatoes, and other garden vegetables. Chicken, eggs, or lamb are often eaten at festivals. The women dress in bright, vibrant colors, but outside their homes they wear dark head-to-toe coverings. Men wear turbans along with a type of cloak that hangs from the shoulders. The people measure wealth by the amount of animals owned. This people group does not have a Bible in their language. By law they are forced to profess and practice Sunni Islam. Because they trace their lineage back to Abraham, many of the Old Testament stories are somewhat known to the people. However, there is no missionary work nor outreach to this group of people. God is calling. Who will go?